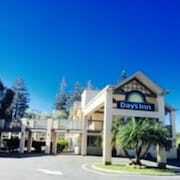 Located in Redwood City, Holiday Inn Express Redwood City-Central is close to Woodside Central Shopping Center and Menlo College. 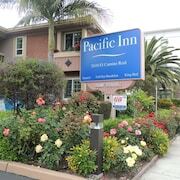 This hotel is within close proximity of Bedwell Bayfront Park and Hiller Aviation Museum. Make yourself at home in one of the 62 air-conditioned rooms featuring refrigerators and microwaves. Wired and wireless Internet access is complimentary, while video-game consoles and satellite programming provide entertainment. Bathrooms have shower/tub combinations and hair dryers. Conveniences include desks and complimentary newspapers, as well as phones with free local calls. Be sure to enjoy recreational amenities including a spa tub and a 24-hour fitness center. Additional features at this hotel include complimentary wireless Internet access and discounted use of a nearby fitness facility. Featured amenities include a business center, dry cleaning/laundry services, and multilingual staff. Free self parking is available onsite.